The importance of analytics for your website! The great thing about online is the benefits of technology. We now live in an age where more people are searching for local services online and doing so on their mobile devices. It is increasingly important to understand the behavior of people and since the advent of the internet and subsequently, the website, the methods to collect data are easy to do. Remember when you had an ad in the Yellow Pages, that big, clunky book that people now use for a door stop. Well back in the day, the Yellow Pages was a success (and expensive) and the slogan, “let you fingers do the walking” became a household saying. Nowadays, people are tapping their way on computers or mobile phones to find what they are looking for – usually a solution to a problem. When Yellow Pages ruled the local marketing arena, it was impossible to exactly know how many eyes or fingers came across your ad, unless you asked people directly and even then it was difficult to muster…It was another thing to ask and it became a chore, so most people didn’t and they still do not ask today. Then comes along the website, and with technology becoming more intelligent, we now have the ability to peek into the endless stream of data of website visitors and a host of other interesting and important information. Introducing Google Analytic’s, this free tool provided by Google (obviously), is nothing short of amazing, you are able to track website visitors down to the minute on a particular day and with a host of other features, you cannot miss a beat. Review website visitors on a daily, monthly, yearly and even time of a particular day. Track real time visitors, where they are in the world and what content they are looking at..Right Now! Understand visitor behavior, how long they are staying on your website, what technology they are using, either mobile device or desktop and even what browser they are using. You can find out what keywords people are using to find your website. If you run an online store, you can find out what people are doing at checkout and if you have a large amount of dropouts, you may find that there might be an issue with your shopping cart so that you can repair it – good to know! Have you got analytics for your website? 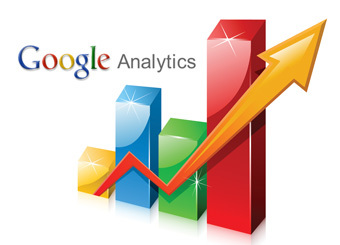 We are offering a free setup of analytics for your website for the months of March and April 2013. Simply call Paul on 0405 614 155 to organize a time. It will take approximately 1 hour and included is instruction on how to access the information. If you do not know what people are doing on your website, it is another thing that you do not know about your business.